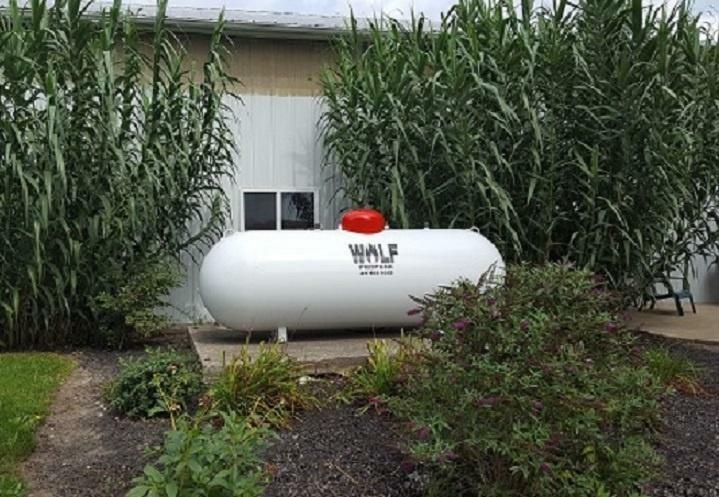 Where is the safest and best place for my propane tank? Most common tank sizes in use today are: the 120, 330, 500, and 1000. These must be at least ten feet from both the house and property line and any ignition source. • For proper delivery service, your tank should not sit more than 90 feet from your driveway or street curb. Maximum hose length on all trucks is 100 feet. 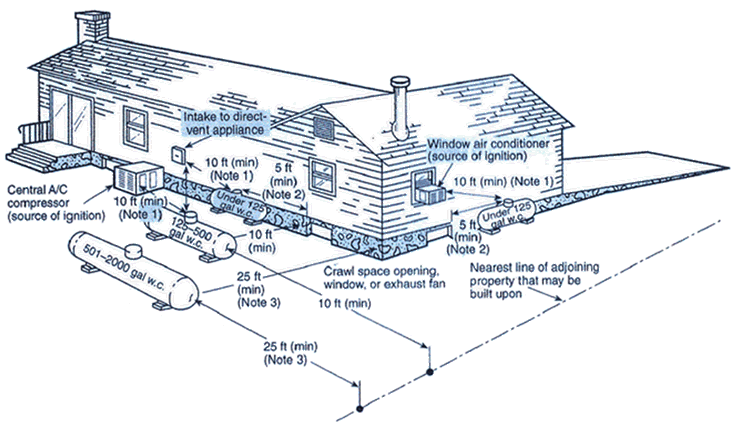 • Gas lines must be buried in a trench minimum 18" deep (12" if under concrete). • Length of trench does not matter as long as you comply with the above requirements. Regardless of its size, any ASME container filled on site must be located so that the filling connection and fixed maximum liquid level gauge are at least 10 feet from any external source of ignition (e.g., open flame, window A/C, or compressor), intake to direct-vent gas appliances, or intake to a mechanical ventilation system. A 1200 gallon or less water capacity single container distance may be reduced to no less than 10 feet provided such container is at least 25 feet from any other LP-Gas container or more than 125 gallon water capacity.